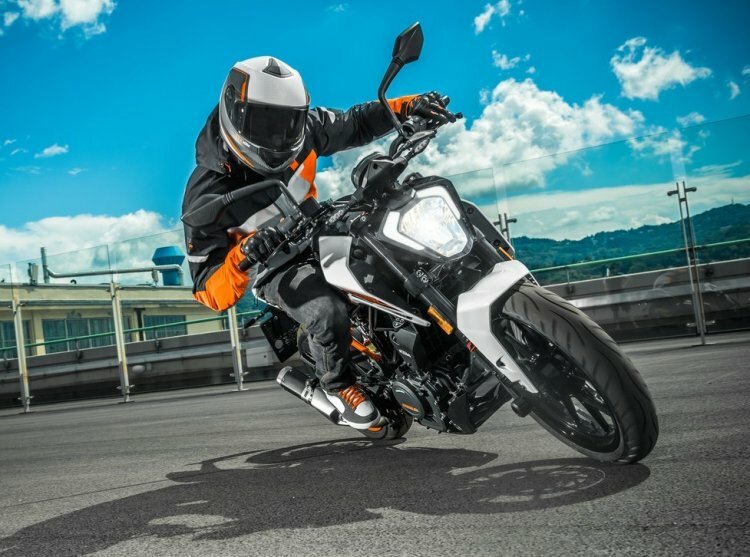 KTM India’s complete motorcycle range is ready to ride across the upcoming safety norms as its final product, the 250 Duke, has received the safety net of ABS. Unlike the 125 and the 200 Duke, the 250 Duke gets a dual-channel ABS. The KTM 250 Duke gets the safety net of switchable ABS. However, it does not feature the Supermoto mode, like the 390 Duke, which disengages the ABS only at the rear. The 250 Duke ABS was launched in India at an ex-showroom Delhi price tag of INR 1.94 lakh – a premium of INR 14,000 over the non-ABS model. The ABS tech on the 250 Duke is switchable can be turned off completely. However, the rider cannot disengage the ABS just as the rear – a feature that is allowed via the Supermoto mode on the 390 Duke. The list of changes does not go beyond the addition of ABS. Thus, the motorcycle continues to feature the 1290 SuperDuke inspired styling. The fascia features a halogen headlight. Rest of the lighting on the bike is LED. Other traits include full digital instrument console, dual-tone fuel tank, aluminium swingarm, steel-trellis chassis with a bolted sub-frame and split seat among others. The colour options include the existing orange and white choices. Hardware specifications include 43mm upside-down telescopic forks at the front and an adjustable monoshock at the rear – both sourced from WP. Stopping power comes from a 300 mm single disc with four-piston radial fixed calliper at the front, and 230 mm single disc with single-piston floating calliper at the rear. A 248.8 cc, single-cylinder, liquid-cooled engine that delivers 30 hp and 24 Nm of peak torque performs the propelling tasks. The power goes to the rear wheel via a six-speed transmission that features a slipper clutch. The quarter-litre Duke bridges the displacement and price gap between the 200 Duke and the 390 Duke. The upgrade list only includes the addition of ABS while the rest of the specifications remain identical to the non-ABS model. The 250 Duke ABS carries a premium of INR 14,000 over the non-ABS variant. 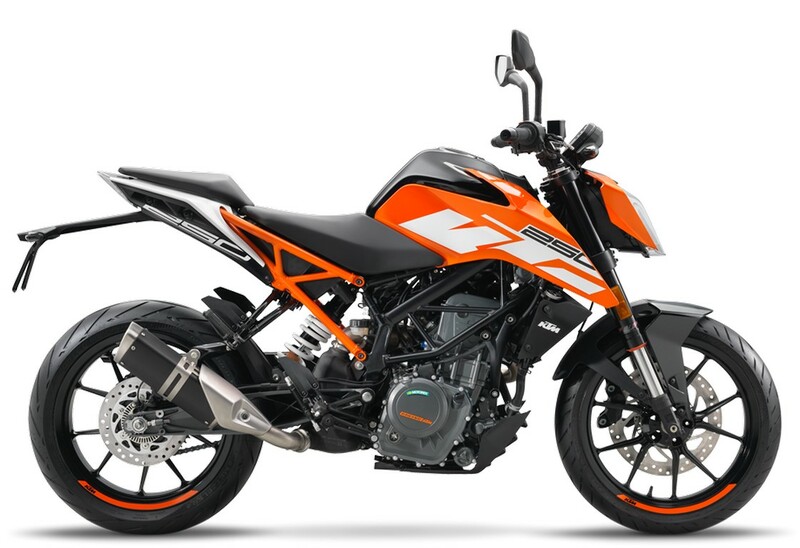 In other updates, the Austrian brand is set to enter the middleweight motorcycle segment of the Indian market with the launch of the 790 Duke. While the company has remained tight-lipped about the launch details, select dealerships have started accepting the bookings for the naked roadster. The motorcycle would compete against the likes of the Triumph Street Triple, Ducati Monster, Suzuki GSX-S750 and the Kawasaki Z900 among others.